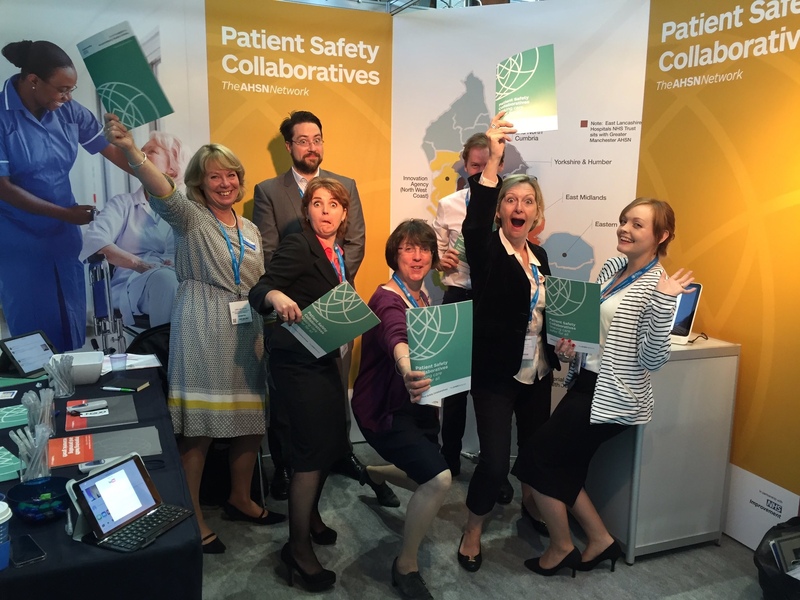 The AHSN Network’s first Patient Safety Collaboratives’ report was launched at Patient Safety Congress last week. The brochure, ‘Making care safer for all’ provides four full case studies; descriptions of our cluster work; our leadership role; and our shared priorities for the coming year. “The Patient Safety Collaboratives (PSCs), founded in response to one of Berwick’s recommendations, have played a critical role in delivering his vision of change in the culture of patient safety, across the NHS. The 15 collaboratives, funded by NHS Improvement and owned by local patients and NHS staff, are the largest patient initiative in the history of the NHS. “They are now well established, delivering approaches to continual learning and safety improvement to every part of our healthcare system. They have provided local learning and created improvement hubs, bringing together clinicians, managers, academics and patients to develop and test solutions to meet local priority safety issues. Download the brochure here and read a blog post here from Dr Rosie Benneyworth, AHSN Network Lead for Patient Safety Collaboratives.